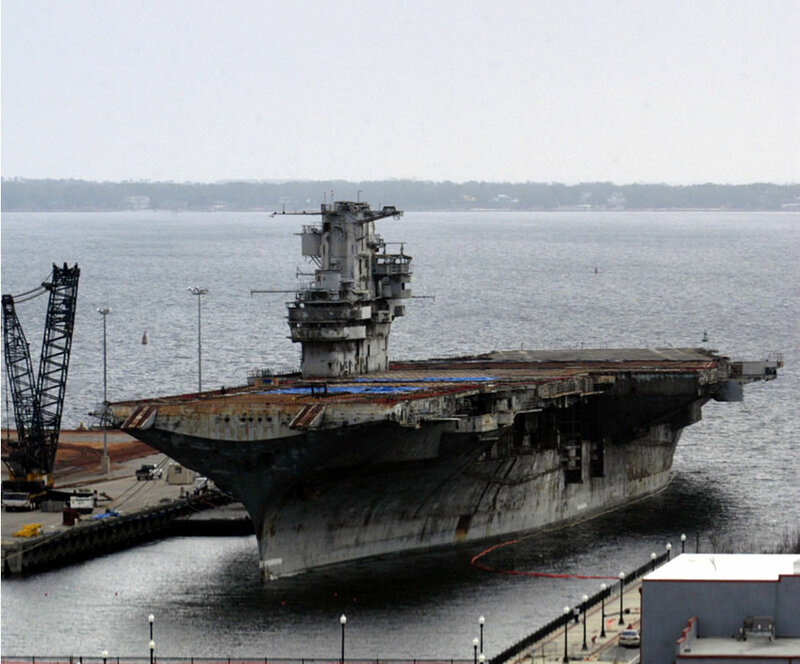 Pensacola, Fla (Jan. 11, 2005) – The 888-foot decommissioned aircraft carrier Oriskany arrives in Pensacola on Dec. 20, 2004 from Corpus Christi, Texas. Oriskany will be the Navy’s first ship to be sunk under the authority provided under the fiscal year 2004 National Defense Authorization Act (Public Law 108-136) and will be the largest ship sunk as an artificial reef. The Oriskany artificial reef will benefit marine life, commercial and sport fishing and recreational diving off the coast of Florida. The sink date has not been established. U.S. Navy photo by Gary Nichols.